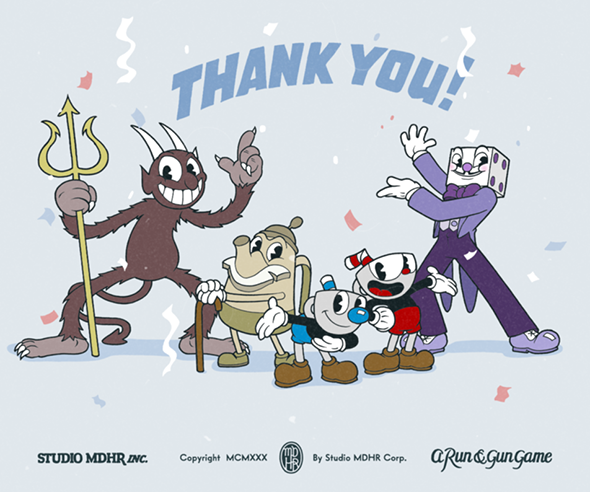 Update, December 20: Cuphead has now exceeded two million copies sold. 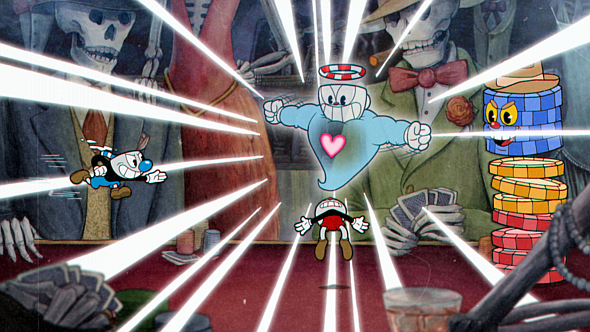 There’s no stopping the Cuphead train, and the classically animated run ‘n’ gunner has hit another massive sales milestone. It hit a million copies sold within two weeks of its September release date, and less than three months later it’s managed to double that already impressive number. What have been the other highlights of the year to date? Check out the best PC games of 2017 so far. If you’re curious how that breaks down by platform SteamSpy reports 1,098,957 owners on Valve’s store. Add to that a percentage of DRM-free owners on GOG, and it seems a slim majority of Cuphead owners are playing exclusively on PC. Of course, don’t forget that the Xbox One version is cross-buy with the Windows 10 edition – so literally everyone who’s bought Cuphead also owns it on PC. Update, October 13:No deals with the devil necessary as Cuphead has sold over 1 million copies since its release two weeks ago. Cuphead has been turning heads ever since its debut at Microsoft’s E3 press conference years ago, and now that the game’s out it seems all that hype has paid off.Studio MDHR announcedtoday that their gorgeously animated platformer has “gone platinum” with over 1,000,000 units sold. We’d been keeping a close eye on SteamSpy’s estimates for the game since its release, but while those numbers offered a solid indication of the game’s initial success, they didn’t account for its console sales, or its performance on other PC distribution platforms like GOG, or the Windows Store where it’s a cross-buy title. That may actually be an understatement about what it took to bring the game to life, since the Moldenhauer brothers quit their jobs and remortgaged their houses in their efforts to bring the game to life. As good as it is to hear as an observer that Cuphead’s doing well, I can’t imagine the relief on the part of its developers. They even provided a fresh bit of art to celebrate the news. Update, October 6:Cuphead continues to gather strength, with Steam sales now above 300,000. Cuphead has continued to sell well, breaking 300,000 sales since its launch on last week. It’s still the fourth highest-selling game on Steam at the moment, and is challenging some of this season’s biggest games in terms of overall sales. Steamspy currently says Cuphead has sold 328,000 copies That’s a pretty high figure, but it’s worth remembering that that doesn’t include console sales, which should add a significant boost to those numbers. By contrast, Total War: Warhammer II has sold 395,000, but with no console sales to add to that number, it’s pretty likely that the indie darling is outselling Creative Assembly’s massive strategy game. Original Story, October 2:Keenly anticipated indie game Cuphead is off to a storming start. You might even say its sales runneth over. SteamSpy estimates about 125,000 owners, though this is likely on the low side as they’re often behind the latest data. Last week’s Steam top tenindicates it was the fourth best-selling title in a week that also saw two huge releases in Total War: Warhammer II and Divinity: Original Sin II. This is despite having launched only three days ago.SteamCharts indicates an all-time peak so far of 15,712 concurrents – huge numbers for an indie game. It’s also rated 97% positive. It looks like Steam users are having a much easier time of it than those on the Microsoft Store, who might have been tempted away from Valve’s platform so as to enjoy Cuphead on their Xbox Ones as well, thanks to Microsoft’s Play Anywhere programme. According to Kotaku, they’ve had trouble not only installing the game, but also saving their progress having got it working. If you’re one of those affected, Redditor WickedYeti reports that the problem might be caused by alt-tabbing out, which apparently “disconnects the game from being able to save any further progress.” So avoid doing that until the problem is patched. Here’s the discussion on NeoGAF.